Scroll to the bottom of this page to choose any of the components via the option dropdown menus. The 20% off coupon from the current newsletter applies to this product as well as all categories except Sky Track systems. This page will expire May 31st, 2019. Rover Roamer is offering new components, gear, and replacement items at below our manufacturing cost to previous customers so that everyone can enjoy the updated system at a greatly reduced discount. If you registered before ordering, you received loyalty points for your purchases, registering a new account, and subscribing to the bi-annual newsletter. In most cases, the combination offsets shipping costs and discounts new purchases further. Please look to the details in the newsletter for any additional discount codes offered. 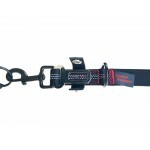 Neck-Safe Bungee: The adjustable duel-strength, 3ft fail-safe bungee segment is essential for preventing sudden restraint on the dog's neck and body. 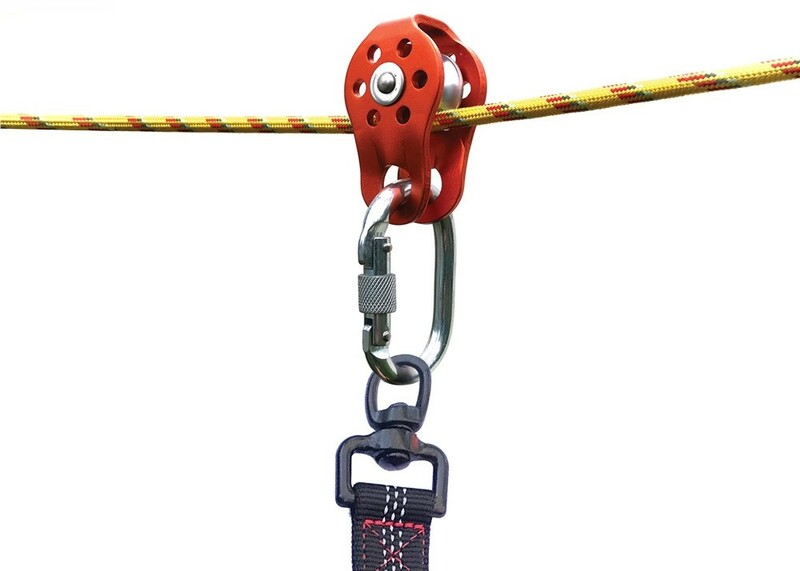 It connects between the pulley and the leash and replaces all previous bungees. 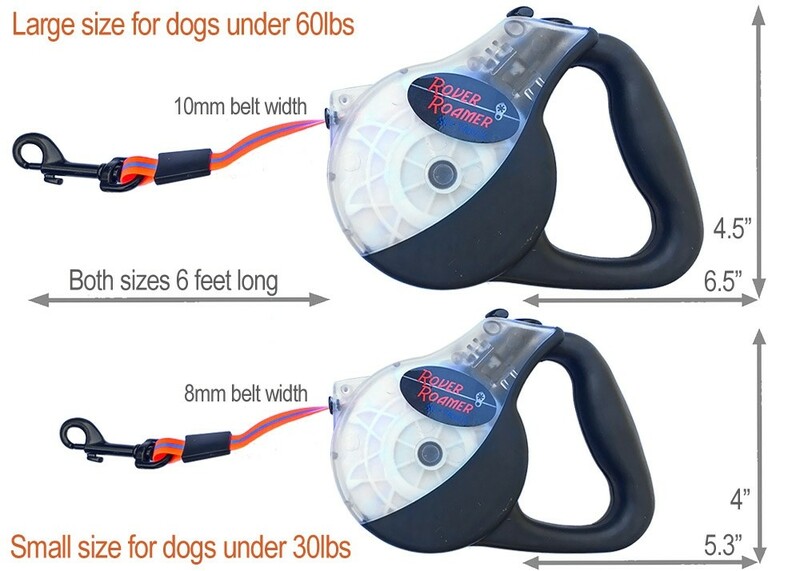 The 5mm bungee section is great for small dogs while the 8mm strong bungee section is designed for large, active dogs, allowing you to use one product for all dog breeds. 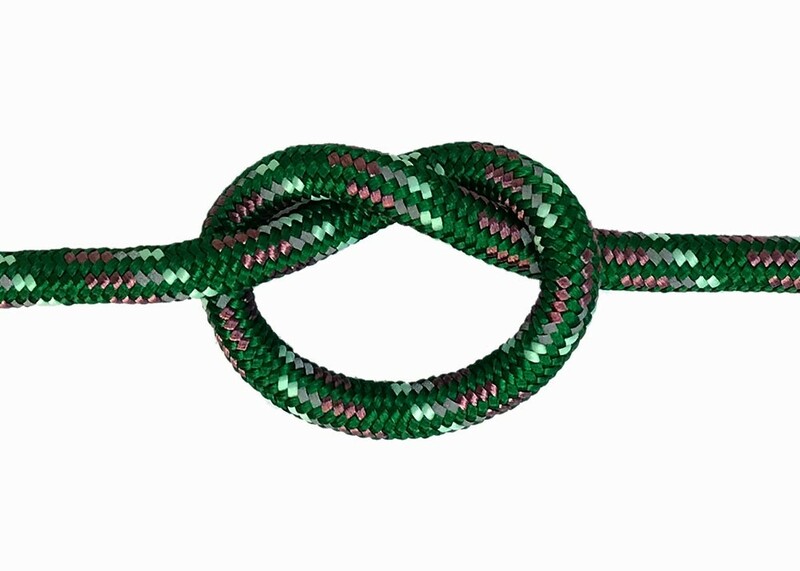 8.5mm Safety Line: The size has increased from 7.5mm/4-core nylon (yellow/red) to 8.5mm/6-core nylon (green/purple) since September, which works better with the blue bumpers. 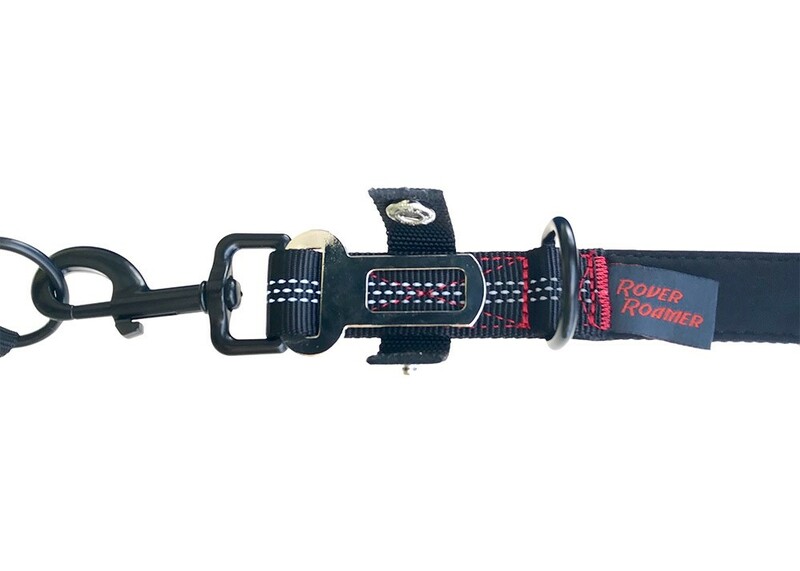 6ft Retractable Leash: Retractable up to 6 feet, featuring durable and waterproof TPU belt material with reflective strip, the Rover Roamer retractable leash is perfect for any aerial dog run when you need to restrict the length of the leash. 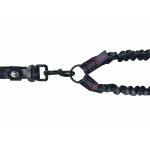 The Neck-Safe Bungee connects from the pulley to the retractable leash handle and allows up to 10ft of lateral freedom on each side. 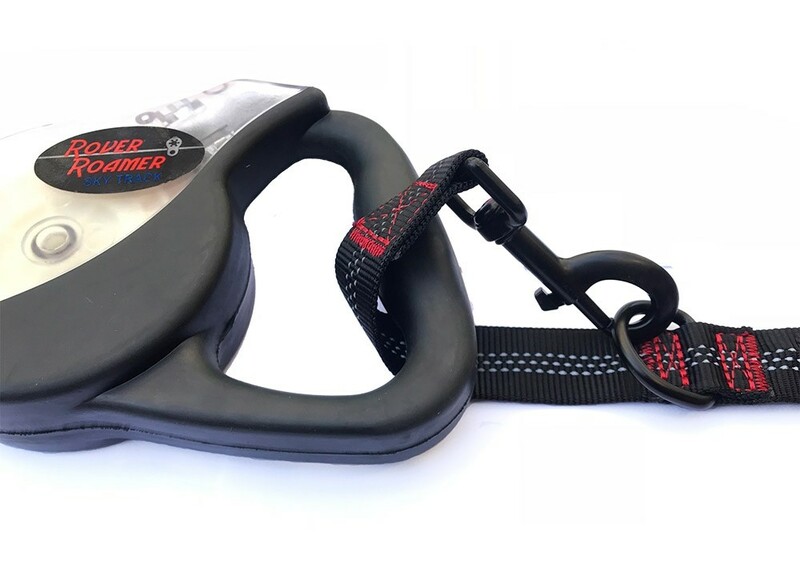 Featuring 4 sewn-in combination light/heavy bungees and constructed with durable 1000D nylon webbing with a detachable & clipable neoprene handle, the Bungee Leash & Convertible Coupler is the perfect accessory for the Sky Track but also makes a highly versatile leash for one or two dogs. 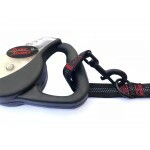 The handle section of the leash can be unclipped so as to wrap around polls and even trees. The seat-belt clip is especially useful for impatient dogs. Line Tensioner for Sky Track: Larger, active dogs on long safety lines can stretch the line slightly and create a drooping effect in the middle. Weather and daily temperature differences can also affect tautness. 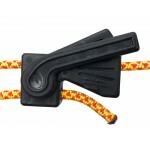 The Line Tensioner connects between the anchor and the ratchet and keeps the line tight at all times. 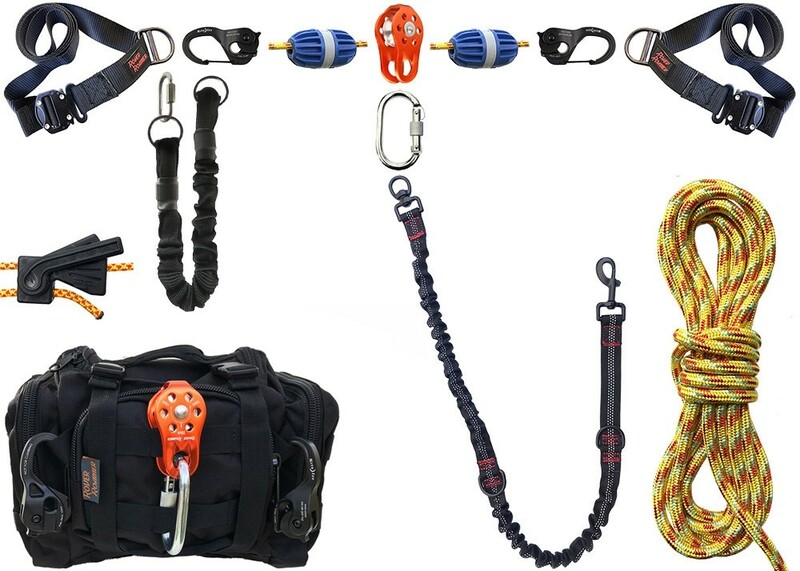 Triple-capacity Gear Bag: As we upgraded the rope from 7.5 to 8.0 and finally to 8.5mm, the original bag began losing the ability to handle the heavier rope. 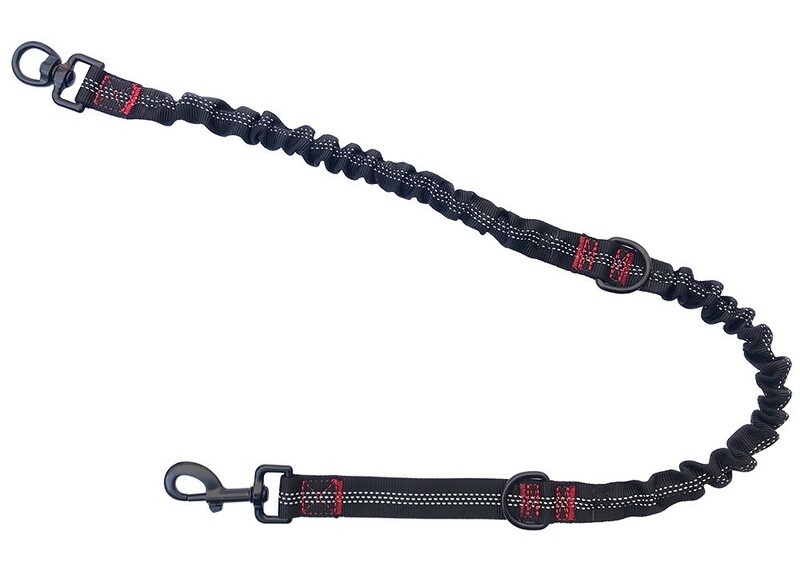 Therefore, we have totally redesigned the bag to specifically accommodate the updated Sky Track up to 200ft of 8.5mm rope, all the necessary gear for up to 3 dogs, plus room for treats, leashes, etc. The new bag can carry 3 x the gear of the original bag. 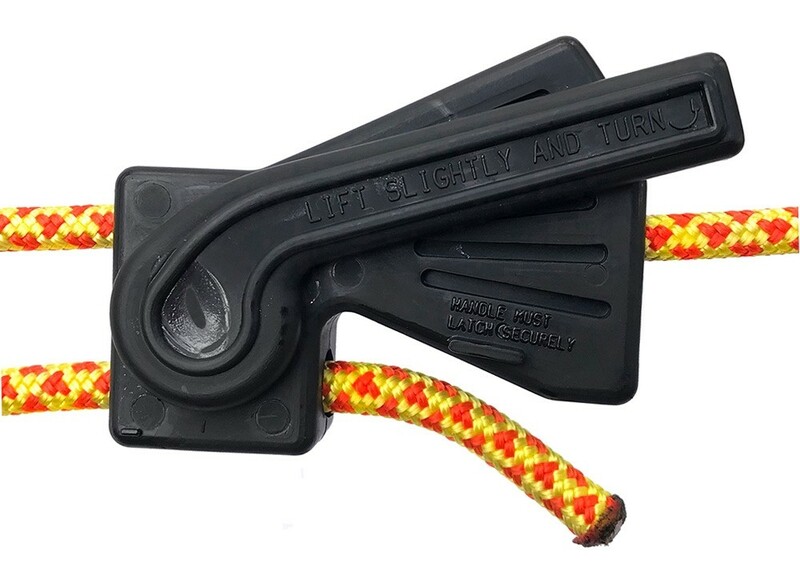 Auxiliary Rope Clamp replaces Blue Bumpers on lighter rope line: For those of you with the lighter 7.5mm rope who have had difficulty with the blue bumpers holding up well to large, active dogs, the original rope clamp is still the best solution. 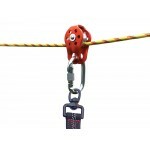 The lever on the Rope Clamp allows you to adjust the pressure on the rope. For very large active dogs, use two adjacent rope clamps side by side. 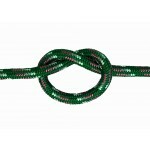 Rope: the thicker, denser 8.5mm works better with the blue bumpers for dogs over 50lbs. 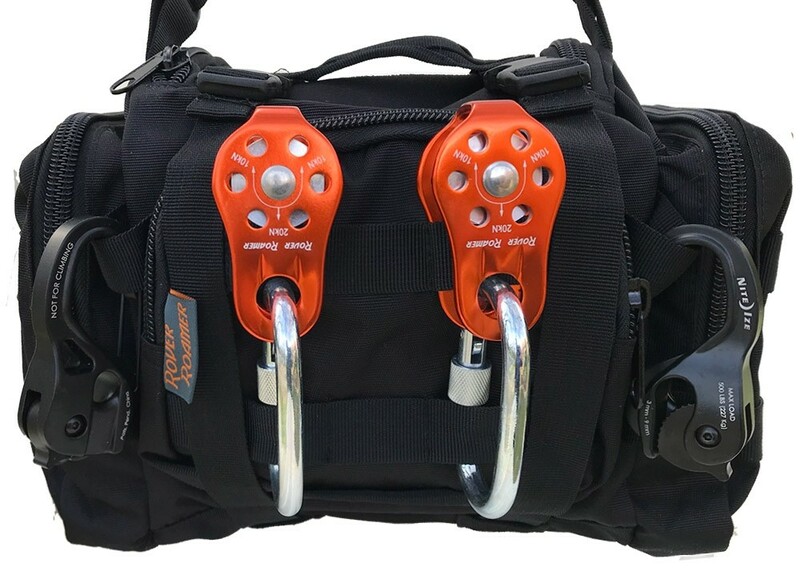 The original bag only supports up to 80ft of the newer 8.5mm rope, therefore we recommend also getting the Triple-capacity Bag for lengths over 80ft. Choose between the yellow / red or the green / lavender schemes. 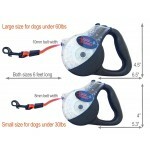 Retractable Leashes: The large size retracables are recommended for dogs under 60lbs whereas the smaller leash is best for dogs under 30lbs. 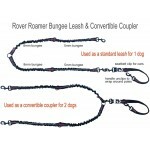 Very active dogs over 60lbs would do better on the Bungee Leash & Convertible Coupler. 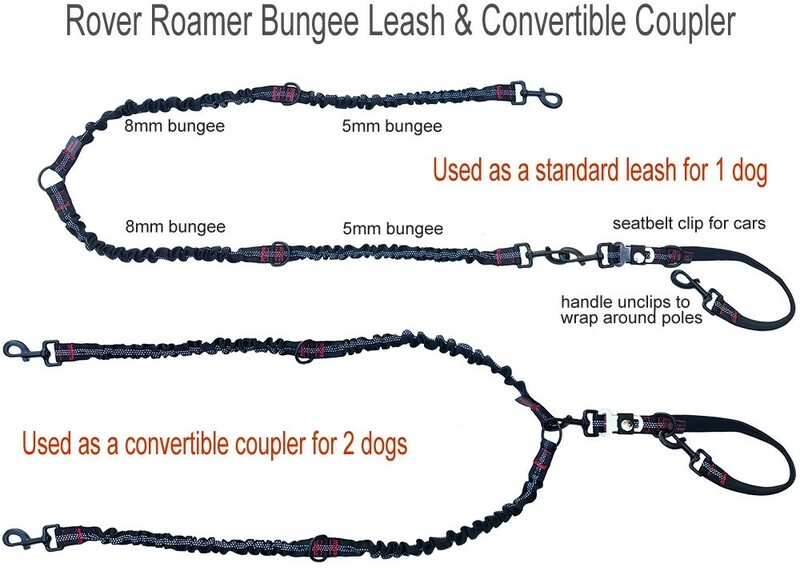 Bungee Leash & Convertable Coupler: Use for one dog as a single leash or use for two dogs as a coupler. The coupler function allows two dogs to interact with each other from the same point on the line via the pulley without getting tangled up. 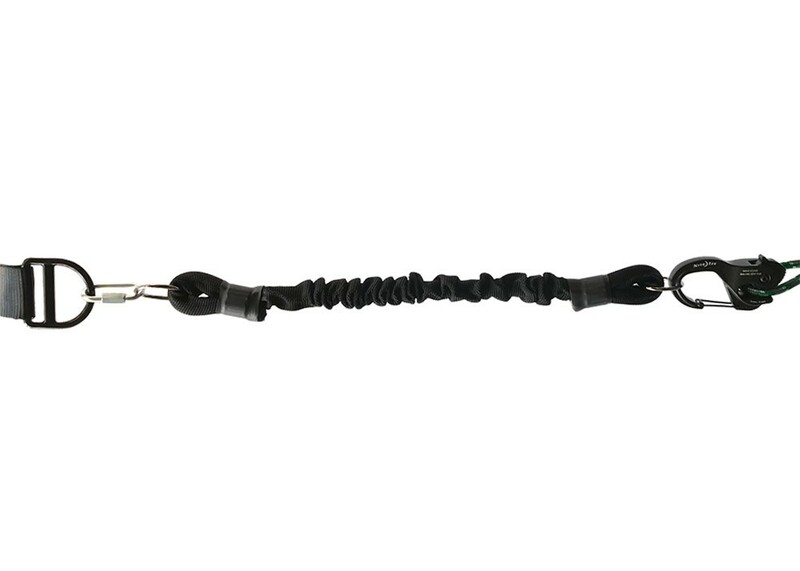 Line Tensioner: Highly recommended for lines over 80ft, lines with two or more dogs, and lines set up during inclement or hot/cold weather, which affects tautness. 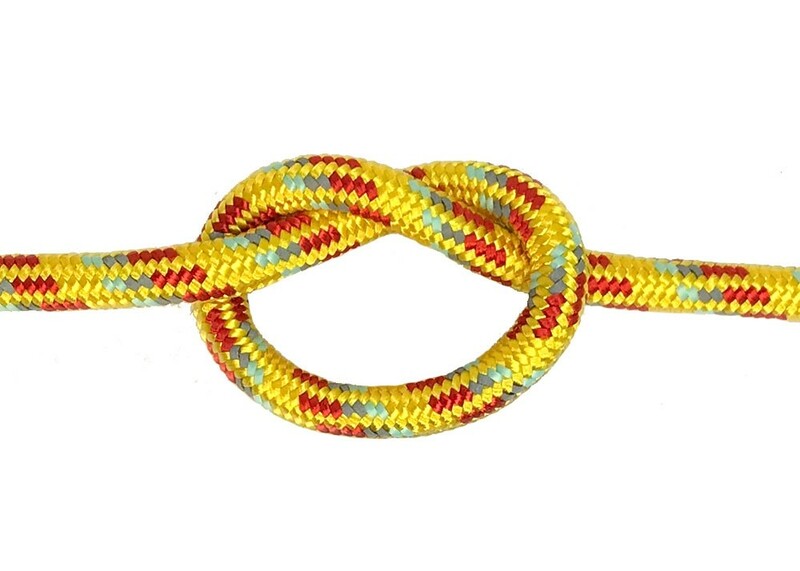 Use two for lines over 150 ft, one on each side of the line or in parallel (side by side). 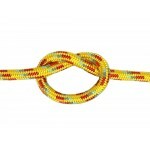 Triple-capacity Bag: Can hold up to 200ft of 8.5mm rope. The side pockets are triple capacity of the original and the front pocket is double capacity of original. Auxiliary Rope Clamp: This clamp functions as a bumper replacement for the blue bumpers on lines that are 7.5mm in diameter or less. 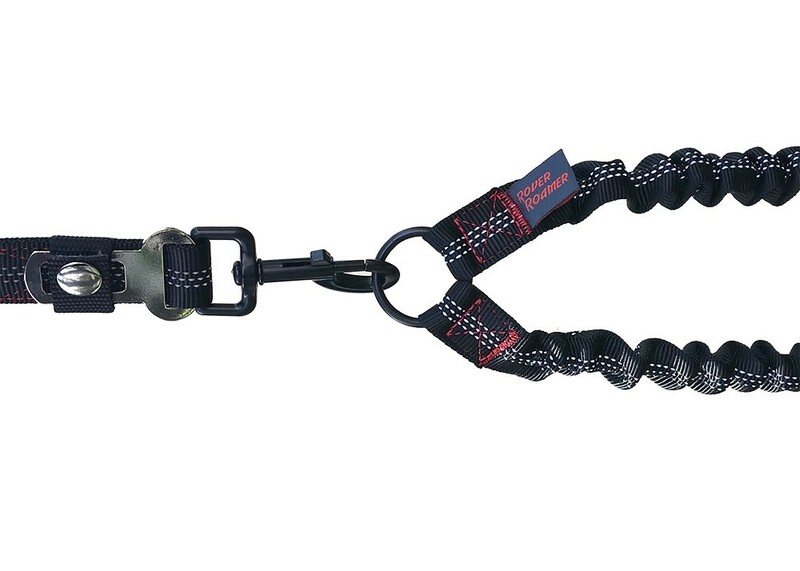 Due to the cinching action, these clamps work better on thinner lines, large dogs, and for permanent rope systems during inclement weather. For active dogs over 100lbs, we recommend using four clamps (two side by side, adjacent). Using the Neck-safe bungee segment in conjunction lessens the stress on the clamps/bumpers by providing a mitigating stretch. Please refer to each individual items for separate directions.